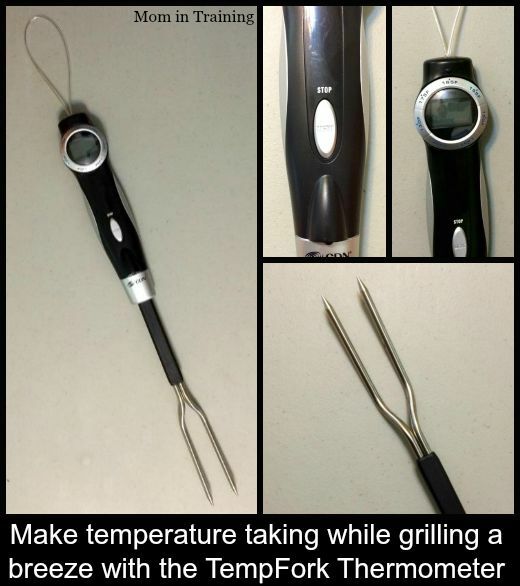 Get ready for grilling time made easy with the TempFork Thermometer. The TempFork Thermometer provides you with an instant temperature reading on it's backlit display. It's super easy to use, and to clean which is a double bonus in my book. I love anything that makes cooking a little less stressful. The stainless steel tines can hold up to 10lbs of food so you can even use the forked end to pick up your choice meats to transfer them from the grill. My husband really likes this TempFork Thermometer and said it's now his favorite grilling tool. I like it because of the convenience. It even has a nice loop at the end that's perfect for hanging it at the grill or inside when not being used. Buy it: You can find stores that carry the TempFork Thermometer online. I need one of these amazing temperature forks for grilling. It would be great to know the temp of my meats and not have to get really close to the meat. Thanks for sharing this post! I love that its a fast temp!! So important when trying to keep the grill heat in but not wanting to overcook!! Love that it doubles as a serving fork too!! So fabulous! I could use this, i'm always so paranoid about under cooking meat. This would make an excellent gift for my son in law when he grills out!